As one of the oldest and largest events of its kind, the Paris Air Show has attracted some unusual planes over the years. 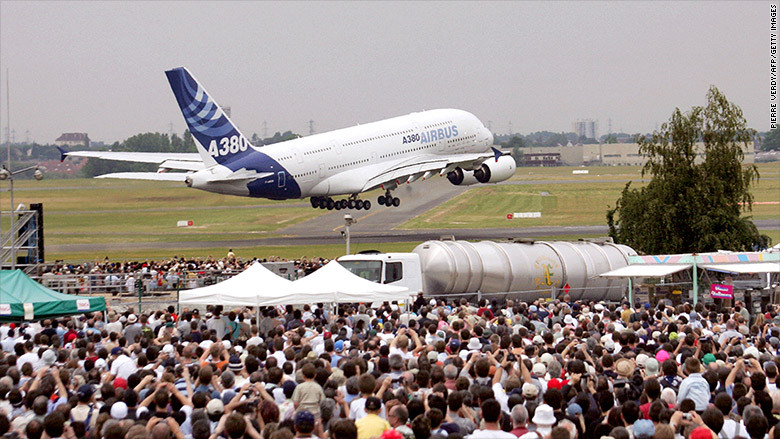 In 2005, Airbus debuted its much anticipated double-decker A380 superjumbo airliner. The appearance delighted aviation fans who wanted to see the gigantic plane that would dethrone Boeing's longtime Queen of the Skies, the 747, as the world's largest airliner. The A380 typically seats 525 passengers compared to the 747-8I, which generally holds 467. It has been a return visitor at every Paris Air Show since. Click through these images to see other unusual aircraft appearing at past Paris Air Shows.